Unlike starchy vegetables, nonstarchy vegetables are low in both carbohydrates and calories, making them a particularly healthy addition to your diet. On average, a 1/2-cup serving of cooked nonstarchy vegetables or a cup of raw nonstarchy vegetables has only 25 calories and 2 grams of carbohydrates. These vegetables are also filled with fiber and essential vitamins and minerals. 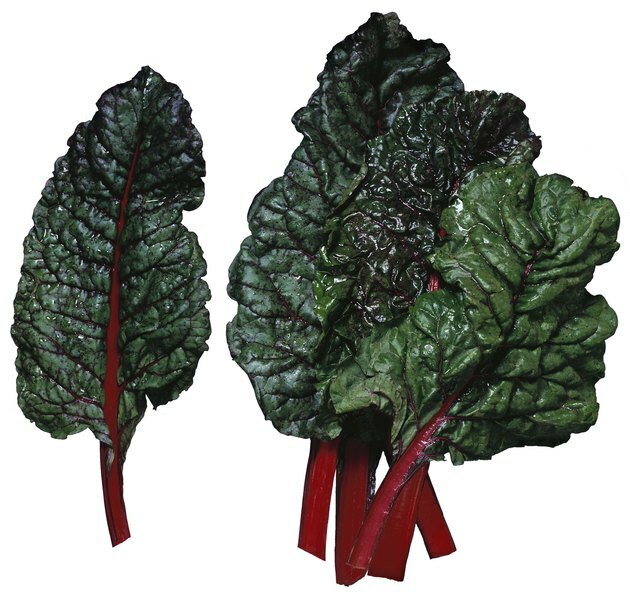 Green leafy vegetables, such as Swiss chard, kale, spinach, lettuce, broccoli, collard greens, mustard greens, bok choy, watercress and turnip greens, provide folate, which is important for forming DNA and preventing certain types of birth defects. Broccoli also contains beneficial plant chemicals called indoles that may help with cancer prevention, and many green vegetables also provide the antioxidant lutein, which helps keep your vision healthy. The U.S. Department of Agriculture recommends eating at least 1 1/2 to 2 cups of these vegetables per week as part of your daily recommended vegetable consumption of at least 2 to 3 cups. The American Diabetes Association recommends eating 3 to 5 cups of nonstarchy vegetables per day. Nonstarchy vegetables include many red and orange vegetables, such as tomatoes, pumpkin, winter squash, carrots and red bell peppers. Tomatoes provide the antioxidant lycopene and orange vegetables contain beta-carotene, both of which may help limit your risk for cancer. 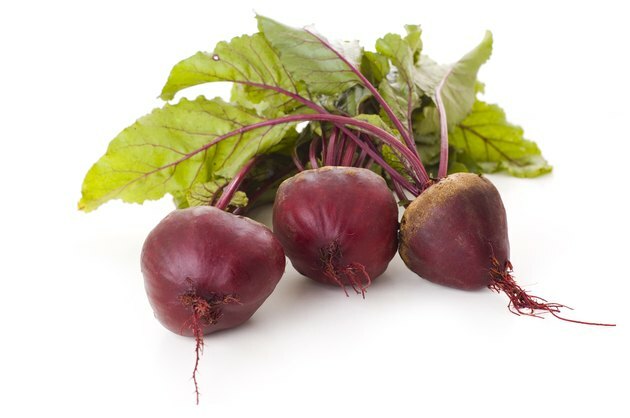 Beta-carotene also helps keep your eyes and heart healthy. The USDA recommends eating at least 4 to 6 cups of these vegetables each week. You should also eat at least 3 1/2 to 5 cups of other nonstarchy vegetables each week, according to the USDA. These vegetables include purple vegetables, such beets, eggplants and red cabbage, which provide antioxidants called anthocyanins that may help lower your heart disease and cancer risk. 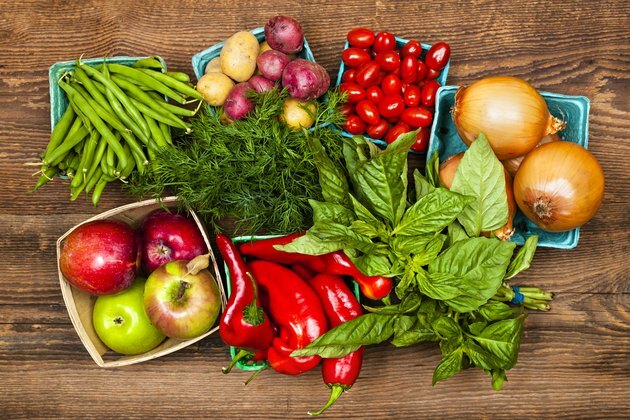 Other nonstarchy vegetables include radishes, bamboo shoots, snap peas, baby corn, jicama, kohlrabi, rutabaga, water chestnuts, cauliflower, mushrooms, onions, turnips, green beans, cucumber, bean sprouts, brussels sprouts, asparagus, artichokes, okra, zucchini, green peppers and wax beans. Fill half your plate at each meal with nonstarchy vegetables, and you'll have a more filling meal with fewer calories than if you'd reserved a smaller portion of your plate for these foods. 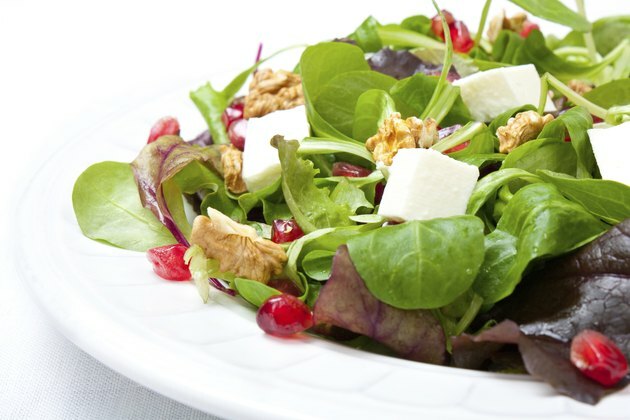 Start your meal with a salad, add vegetables to soups and pasta sauces or replace some of the meat and cheese in your sandwiches with sliced vegetables to increase your vegetable consumption. Choose fresh and frozen vegetables more often than canned vegetables, which can by high in sodium, and don't add butter or high-fat sauces to your vegetables because this can cause them to be high in calories.